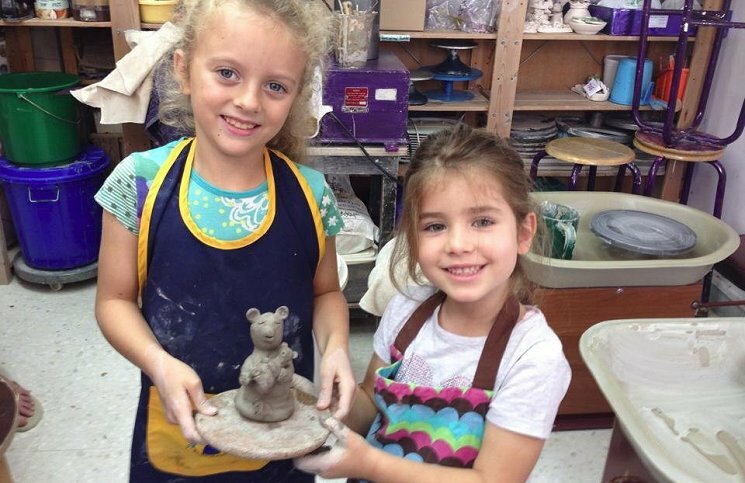 Children love playing with clay and letting their creativity find form. 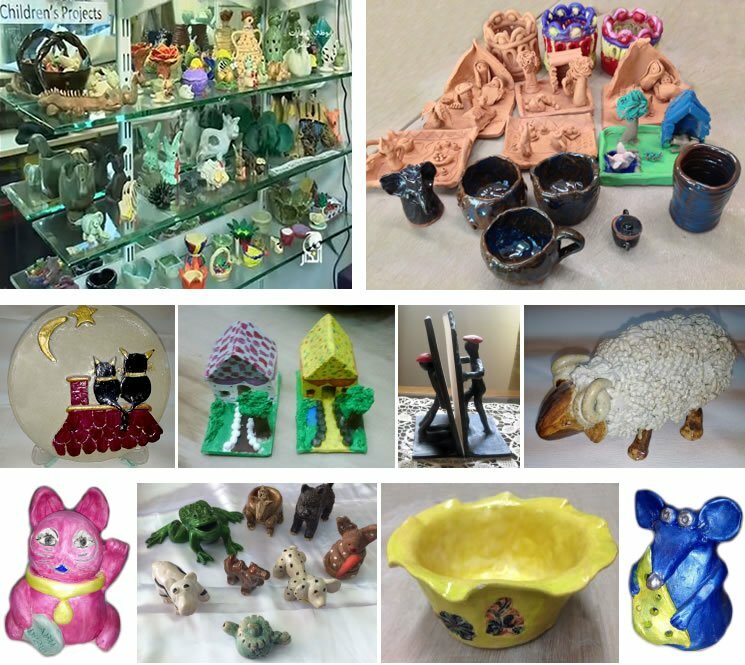 There are many items that they can easily learn to make, from small sculptures, trinkets & jewellery to plaques, pots & bowls, decorated with patterns, imprints & coloured glazes. All children above age 5 can attend. We offer a fun, friendly and safe environment that enables children to develop skills and release their creative potential, in a fully equipped professional studio. 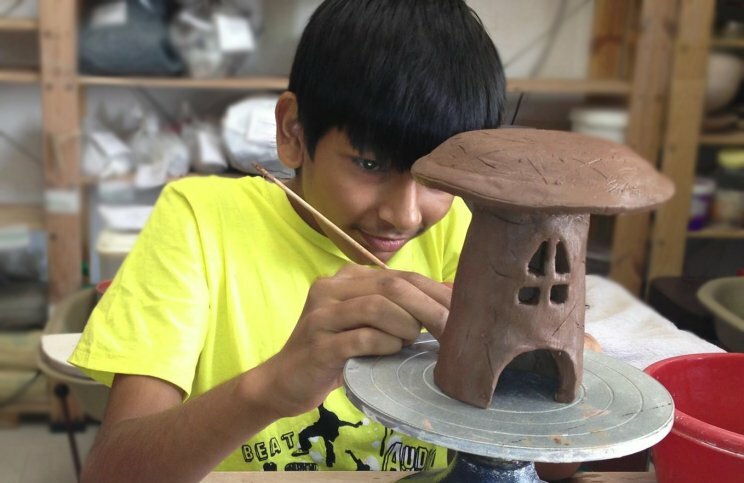 Children will start by learning about how to use clay to create various pieces. They will also be given a short introduction about various stages of creating pottery and ceramics. They will be introduced to various techniques of pottery and well as designing their pieces. They will be able to work at their own pace while being encouraged and supported. After the pots are fired by us they will be taught to colour their pieces in their favourite colours. A single child’s class includes 150 gm of clay.